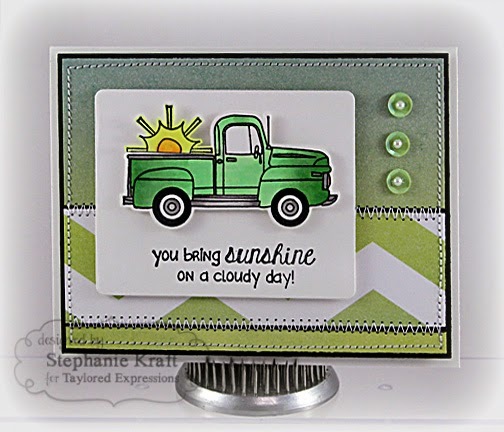 HandKrafted by Stephanie: Taylored Expressions December Release: Big Delivery! Taylored Expressions December Release: Big Delivery! Hello! Welcome to the Taylored Expressions December Release Day! 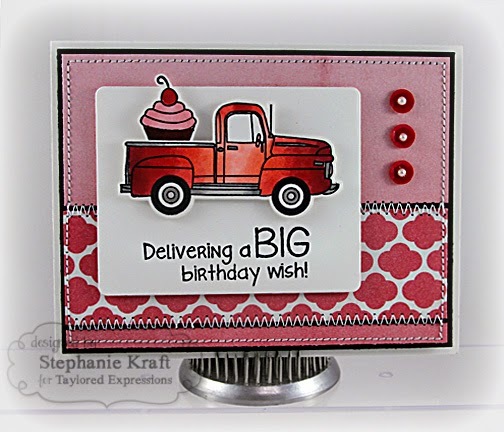 Today we are featuring all 14 petite sets (each set comes with coordinating dies)! All products are available in the store now! 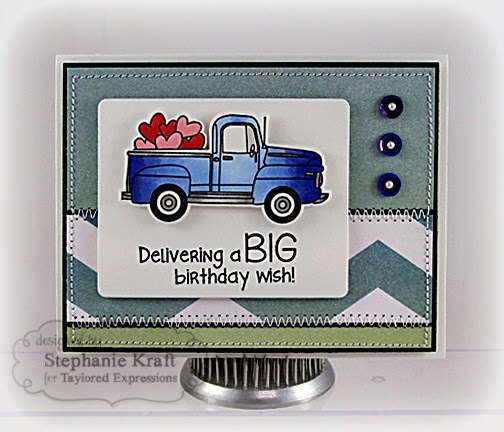 I am featuring Big Delivery, which comes with a coordinating die (truck). I made a set of 3 cards. Accessories: Taylored Dies: Big Delivery coordinating dies, Label Stacklets 6 (TE); Markers (Copic), Sequins, Pearls, Foam tape, Thread, Sewing machine. 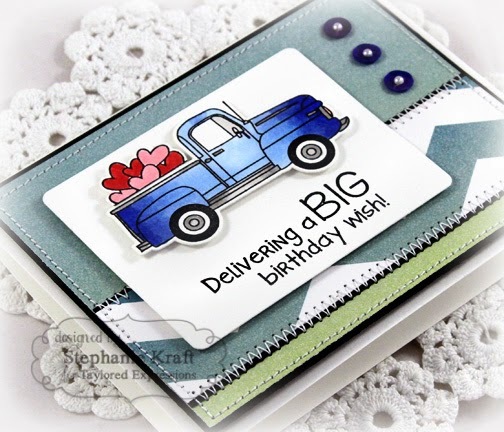 This is really an awesome set of cards, Stephanie!!! I love the bright, happy colors you used and all of your perfect sewing!!!! Cute set of cards Stephanie! 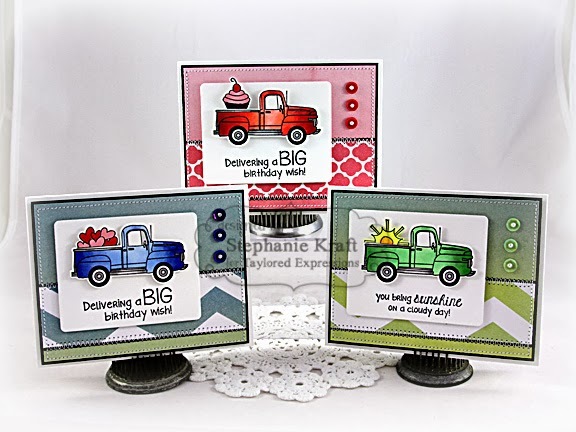 What fun colorful trucks all full of goodies! I love all your fancy stitching!